Finding discarded litter along roadsides, walking trails, in rivers and streams is a major pet peeve of mine. For the life of me, I just can’t understand what could possibly being going through someone’s mind as he or she tosses food wrappings, coffee cups, cigarette butts and plastic bottles on the ground or out a car window. 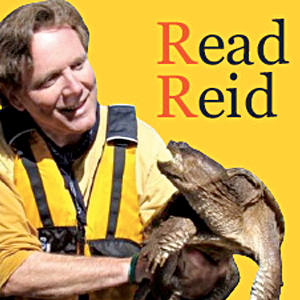 I enjoy paddling our region’s rivers and, unfortunately, I can say without a doubt that every time I have gone on a river paddle I have always — and I mean every single time — seen tires laying at the bottom of the river or half-submerged on the bank. It’s astounding that people can be so thoughtless in discarding their personal and household trash to toss it by the road or in a river. For the past seven years The Last Green Valley Inc. has taken an active role in trying to keep our region litter-free by providing funding for community groups to organize cleanups. TLGV aims to keep our region green and, certainly, clean is part of that overall goal. I would hope seeing volunteers chipping in for a cleanup would lead folks to think twice about littering, or even better, inspire them to join in the fun and good feeling that comes from keeping your neighborhood or community litter-free. The TLGV program reimburses nonprofit organizations and municipal, regional, state or federal agencies up to $500 for expenses such as publicity, cleanup supplies and food for volunteers. The publicity is important to get people mobilized, and TLGV helps publicize the cleanup in hopes that our visibility will help encourage more volunteers. Over the past seven years this program has assisted many groups to organize cleanups with several becoming long-standing annual events in their communities. The cleanups usually start in the spring, typically around Earth Day, but some also continue monthly throughout the spring, summer and fall months. For 2018, TLGV has funded 18 cleanups in the towns of Andover, Brooklyn, Canterbury, Chaplin, Groton, Hampton, Holland, Mass., Putnam, Norwich, Plainfield, Sprague, Stafford Springs, Thompson, Webster, Mass., and Willimantic with Norwich and Thompson groups organizing more than one cleanup. Most of the cleanups have already been completed, though there are still two more scheduled for September. One of the requirements of our funding is the cleanup groups document what they find, including some of the more common and unusual items, and provide a weight total for all the items removed from roadsides and waterways. The results so far in 2018 are staggering, with an estimated 50,000 pounds of litter and discarded items removed in the cleanups already completed. Even more amazing – the cleanups have been averaging 50,000 to 60,000 pounds per year for the past few years. To put this into perspective, that is 25-30 tons per year. Many of the items are lightweight, such as nip bottles, but then again, the 12,360 nip bottles collected so far this year must weigh quite a bit. Cigarette butts (with or without filters) totaled almost as many as nip bottles, coming in at 11,942 so far this year. Other cleanup items found in great numbers have been plastic and paper food wrappers, plastic bags, plastic straws, as well as plastic and tin beverage containers. It is important to note most of the items on this list are plastic. A quick internet search resulted in the startling fact that while different types of plastic degrade at different rates, it can take up to 450 years for a plastic bottle to degrade and up to 1,000 years to biodegrade. I guess some folks don’t understand recycling or reusing. The TLGV-supported cleanups also discovered and removed heavier items including 151 tires, as well as various automobile parts, appliances, furniture and rugs. So far this year, 1,562 volunteers have taken part in TLGV-funded cleanups. The Thompson Together cleanup has been a town tradition for several years, and this year 231 people in Thompson took part in keeping their community litter-free. The 2018 TLGV cleanup funds have all been expended for 2018. We’ll be announcing the availability of more cleanup funds in early 2019, so look for information in your local newspaper, or check out our website or follow us on Facebook, Instagram or Twitter for the latest information. We live in a beautiful place called The Last Green Valley. TLGV is dedicated to helping each and every town organize local citizen groups to come together as volunteers to help keep their community litter-free. Clearly, it is a huge challenge, but one that 1,562 people this year have felt worthwhile. I hope you’ll join us as we roll up our sleeves and do the necessary work to keep our beautiful valley green. Bill Reid is the chief ranger of The Last Green Valley National Heritage Corridor and has lived in the region for more than 35 years. He can be reached at bill@tlgv.org.